North Geelong and Corio completed their preliminary round matches with wins over Geelong Rangers and Lara respectively in the Geelong Diversity Cup on Friday night. Rangers led North early, but the host team hit back with four goals to win by four-one. 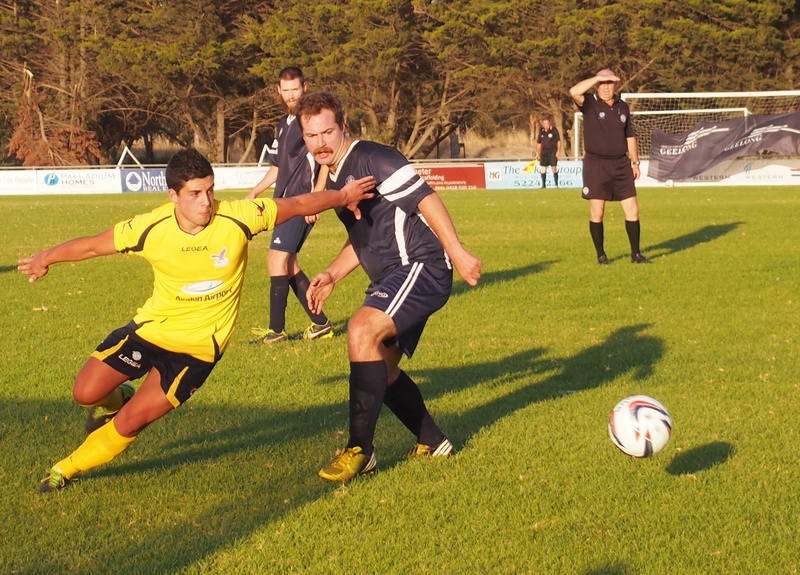 Corio had a comfortable two-nil lead in the first half, but conceded two goals from the penalty spot before running out winner by the odd goal in five. In the early match, Cori struck twice in two minutes midway through the first half against Lara. Elton Savice finished a sweet move down the left but cutting in and firing past Rhett Joy. Garrison Grigg playing in an unaccustomed position in attack then put a delicate chip over the stranded keeper. Chol ‘Peter’ Mangar robbed the keeper early in the second half but his shot hit the post. After Corio squandered a number of chances Damien Nasta ran at their defence and was brought down for a penalty converted by Ben Houston. Houston had a chance to equalise a few minutes later but shot wide when clear through on goal. Corio broke quickly and Savice got his second goal cutting in this time from the right wing. Three minutes later Heath Urquhart was brought down in the Corio box and Houston scored his second penalty, but Corio held on for the win and second place on the ladder. Lara, coached by Dale Harris, deserve a lot of credit for their second half revival. 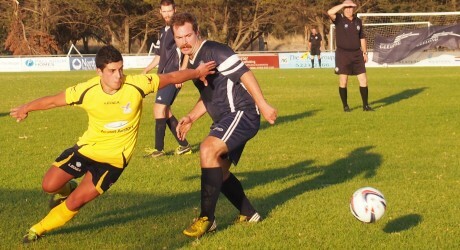 Geelong Rangers surprised North Geelong by taking the lead in their first real attack in the 19th minute. Player-coach Andy Ingham got the finishing touch. It took North till the last minute of the first half to get on terms when Vito Chichello’s long shot just clipped the inside of the post on its way into the net. Five minutes after the break Michael Anderson was given far too much space and walked through a static back line to put North ahead. Six minutes later Rangers hesitated expecting a free kick in their favour in midfield but North played on and Nathan Long ran through to put the Warriors two up. His initial effort was blocked by Lyndon Malesic, but Long recovered quicker and slid the ball home. Michael Anderson got his second goal, a real route one effort after a long clearance by North keeper Franjo Saric. On Sunday night the preliminary round robin concludes with Bell Park versus Geelong, followed by Lara against Geelong Rangers. Geelong and Rangers are favoured to win and hence meet in the play-off for third place on Friday 28th February. ← Australian sport’s Mandela moment?